A fantastic, but tiring, weekend, so a shorter post. 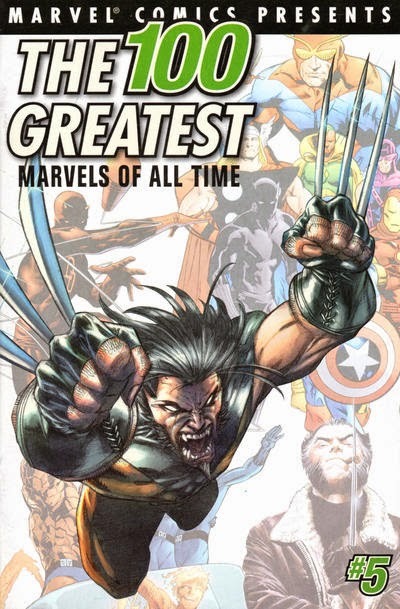 The 100 Greatest Marvels project is very interesting. Based on reader votes, this countdown really does offer some of the highlights of Marvel's venerable history. This issue, however, I call afoul. This relaunch of the series is rife with badness. 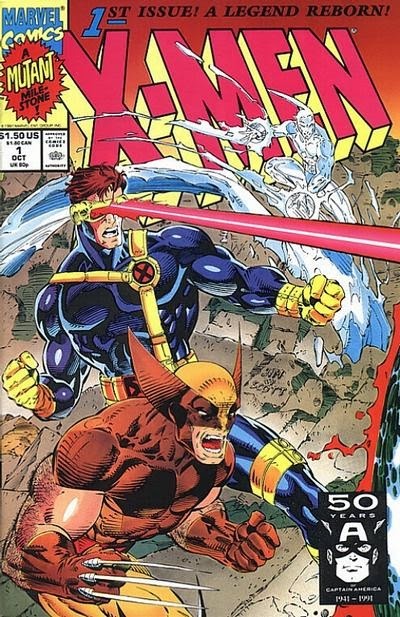 From the insane expository thought bubbles to Jim Lee's badly hyper-sexualized renderings (and, seriously, it looks like Cyclops is made of balloons in the above picture. W.T.F.?). Claremont is a great concept man, but I've never found his dialogue particularly great. Except in Excalibur. He shone in that. And then somehow this is a more important comic than the 95 that precede it. Which includes the Avengers comic in which Captain America returns, Wolverine's first appearance, and a host of other milestone comics. I do understand its million-selling status is important (even taking into consideration the 5 different covers), but sales alone can't make a comic great. Look at Youngblood #1. I suppose we acknowledge Lee's importance, especially as he departs with the other Image artists not long after the launch of this comic. Just a few thoughts. I'm going to bed now. See you tomorrow.